You are attempting to describe an action, but you can’t remember whether one, say, goes in to the breach or into the breach, or whether one, for example, walks on to the next trail junction or onto the next trail junction. This post explains the respective roles of the operative words and phrases. A prepositional phrase is a phrase that includes a preposition, a word that, as its name implies, comes before the object of a sentence. For example, into and onto are prepositions describing movement in relation to objects in the prepositional phrases “into the trench” and “onto the roof.” Because these prepositional phrases provide additional information about an action that occurred (as in the sentences “She leaped into the trench” and “The boy climbed onto the roof”), they serve as adverbs. 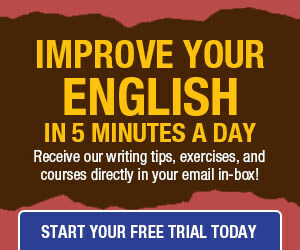 We usually think of adverbs as single words (as in “She leaped impetuously” or “The boy climbed quickly”), but adverbs can consist of two or more words, which appear without any additional information or combined with one-word adverbs, either adjacent to each other or separated by the subject and the verb (as in “She leaped impetuously into the trench” or “Quickly, the boy climbed onto the roof”). 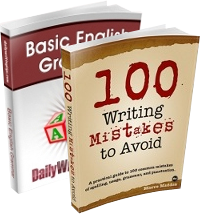 In the following examples, a preposition is mistakenly employed in place of an adverb-preposition compound consisting of the same letters as the preposition. After each sentence, a discussion, followed by a revision, explains the error. 1. His wife, under the assumption that she’d never see him again, has moved onto another man, and they’re planning on getting married. 2. His job is not to give into the demands of multimillionaire celebrities pushing a social agenda. 3. The cell phones were turned into the authorities. For a more detailed discussion about this issue, see this post about prepositions. The most common errors involving prepositions involve just using (any old) one at random – instead of choosing the one that is idiomatically and/or literally correct. DURING, above, among, along, below, before, between, concerning, in lieu of, instead of, next to, out of, toward, underneath, and so forth. Maybe those who use (or misuse) “into” and “onto” ought to be congratulated – because those are two syllables long, at least! “Log into” is another common one, as “log” in this context isn’t a verb that makes sense. True, “has moved onto another man” isn’t correct…or is it? Certainly not G-rated! In/On: In NYC, where I grew up, one would stand ON line. Elsewhere, one stands IN line.